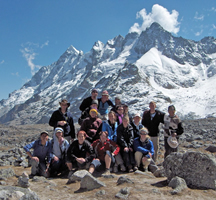 The Salkantay Trek is the number one alternative to the Inca Trail. This trek has been considered by National Geographic Adventure Travel Magazine one of the 25 best treks in the world. 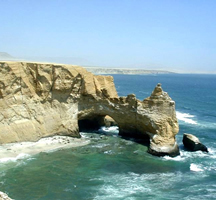 Welcome to Peru, the most fascinating destination in South America. 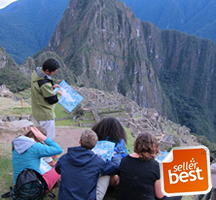 Peru is an incredible mixture of archaeology, historical monuments, nature, great cuisine and adventure. Tourism is heading towards to the archaeological monuments; it has over a hundred thousand archaeological sites. 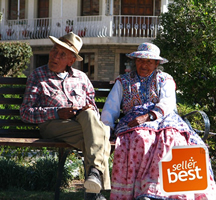 Such as the historic center of Cusco, with a colonial architecture and the main square, it is surrounded by colonial churches and The Cathedral just a few minutes outside the city lies the archaeological site of Sacsayhuaman, Kenko, Puka Pukara and Tambomachay Other important attractions are the Sacred Valley where has a multitude of colorful villages like Pisac, Maras, Moray, Chinchero and additionally a variety of archaeological sites such as Ollantaytambo. The most popular tourist attraction in Peru is within a few hours from Cusco Machu Picchu this sacred place is the most beautiful legacy, important part of Inca culture, it is part of the new Seven Wonders of the World and established by UNESCO as Patrimony of the humankind. 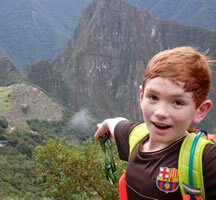 You can access to this wonderful place hinking the 4 days inka trail, Inca Trail 5 days also the short two days Inca trail! There are other alternative options such as the Salkantay trek 5 ò 4 days, Choquequirao 8 days, Choquequirao 4 days, Lares Trek 3 or 4 days, Huchuy Qosqo, all those paths lead to Machu Picchu.Cusco region is located within the second largest glacier system of the tropical Andes, the Cordillera Vilcanota where is the Ausangate mountain, where we run one of the most important treks adventure. The hike up to the mountain of Ausangate, features rock formations at an elevation more than 5000 meters covered with snow, making it a stunning place into the eyes of travelers. 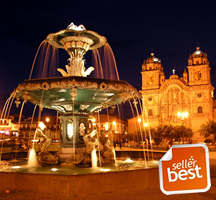 Peru also features the southern circuit, visit the great Peruvian cities. Take a trip to Titicaca Lake in Puno one of the most important points of the south American continent, visit the Colca Canyon, one of the deepest canyons in the world (3,400m/11,220 feet) Overfly the Nazca Lines, embark on a natural experience to the Paracas National Reserve where is a refuge for sea lions, otters, penguins, more than 200 species of birds, flamingos, wading birds and seabirds. Huacachina oasis. Or navegate through the amazon jungle to visit the Tambopata and Manu national reserve. TUCANOS PERU has different options and innumerable hiking tours and packages throughout Peru, which are targeted to all travelers whether they are cultural, experiential, ecological, adventure, etc.. Each of those packages are carefully prepared because Tucanos Peru has the commitment to fulfill all your expectations and make this journey a unique experience ..!